Welcome to our Brighton Therapy Rooms. Situated in the heart of the bustling city of Brighton, our therapy rooms offer a safe space for therapists to provide their services. With easy access, they are extremely close to public transport links and within walking distance of the seafront, our Brighton treatment rooms are ideal. Let us help your clients leave their worries at the door. 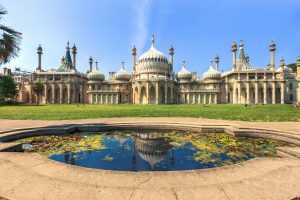 The Brighton Therapy Practice provides a professional space for qualified therapists to offer their services. Each of our therapists is passionate about growing their business and cares about the well being of their patients. In our impressive therapy rooms, our therapists know they are providing a professional service in an environment that helps their clients feel comfortable, safe and cared for. Our Brighton treatment rooms are available to rent for a variety of therapists passionate about offering their expertise and therapy services in thoughtfully decorated rooms with fitted furniture and a calming atmosphere. Our therapy rooms are ideal for a wide range of therapies such as hypnotherapy, counselling, reiki, massage, life coaching, acupuncture and more. Our consulting rooms are available for both new therapy businesses starting out or for existing therapists wishing to change location. Open 7 days a week, from 08.00 to 22.00, Brighton Therapy Rooms are incredibly flexible, offering you freedom of choice with your business hours. What’s more is, you don’t need to have a contract to rent our space. We accept both one-off and long-term bookings. So, if you think our Brighton Treatment Rooms are somewhere you might like to work, please give us a call today. Our Therapy Rooms are available 7 days a week from 08.00 to 22.00 to give you maximum flexibility. Each therapy room is available for a therapist to set up a new business or transfer their current business. Our therapy rooms are some of the most sought-after in Brighton. In such a central location, reasonably priced and beautifully decorated, our therapy rooms are amongst the best. We have worked hard to create a space you can be proud of when welcoming and treating clients. It’s hard to beat our prices! If you would be interested in discussing a one-off or long-term rental, call us (01273 733 616) or send us an email (info@hovetherapyrooms.co.uk). We would be very happy to discuss your requirements with you and work out a solution that works best for you. Would you be interested in visiting our treatment rooms to gain an insight into the spaces we are offering? You can view our location here. If you would like to book a time to view our therapy rooms to gain a real into the space, give us a call today. You can reach us by telephone: 01273 733 616 or by email: info@hovetherapyrooms.co.uk. We would be more than happy to show you around.